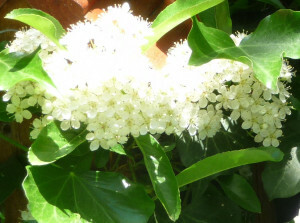 Leaves of this thorny evergreen climber are small, dark green & tough. 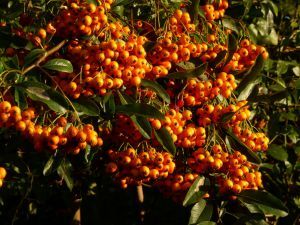 Its CREAM-coloured flowers are visited by bees in spring – ORANGE berries follow, & may last into winter for hungry birds. A fine Pyracantha grows at the side of a property on nearby Ambler Road, edging a large concrete ‘garden’ where cars park on Arsenal Matchdays. 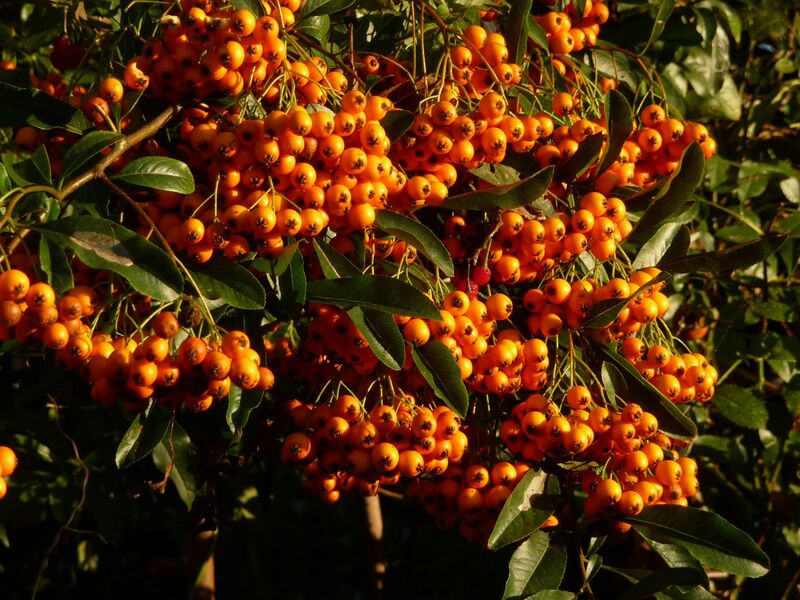 Its billowing waves of orange berries look lush in autumn. 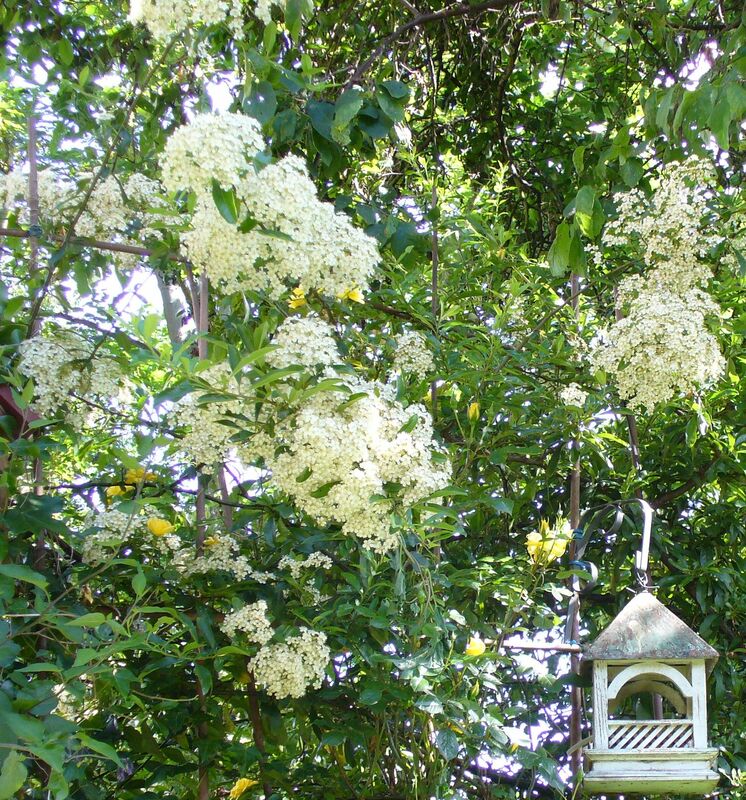 When choosing a spot to plant Pyracantha, always remember its sharp thorns. Unless tied back or clipped regularly, they may injure passersby. 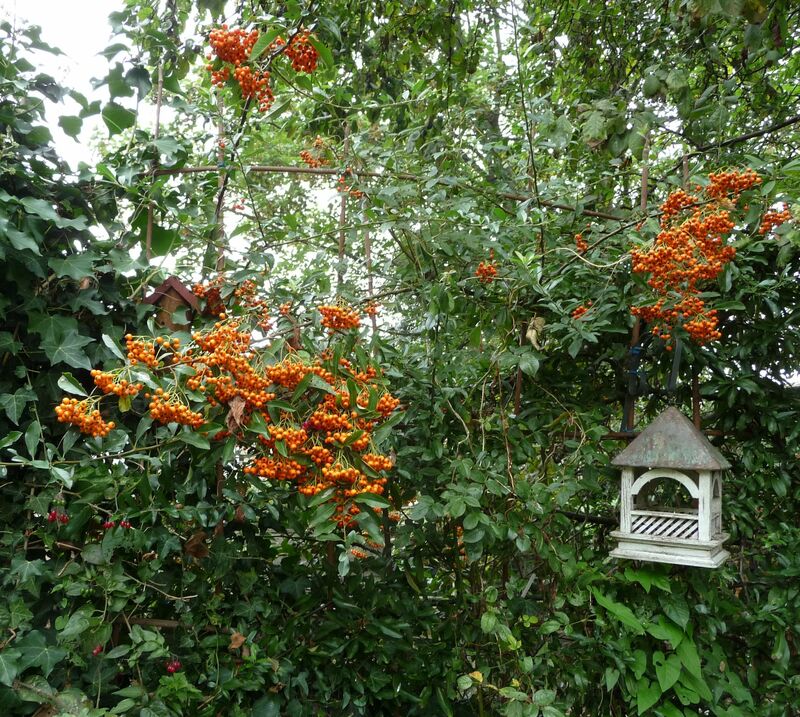 Years ago RF planted our own Firethorn near the path from the house into the garden, where it became a formidable shrub, a good two metres tall. After it had grown into the path, rasping everyone with its thorns, it was dug up and moved. It now lives on the opposite side of the garden, where it has been trained onto RF’s cane trellis.